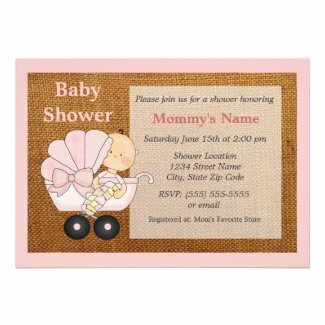 If you're planning a barbecue baby shower for the happy couple expecting their new daughter, you're going to flip your burgers for these adorable pink BBQ baby shower invitations perfect for welcoming a new little girl. Summer is the perfect time to plan a casual couples cook out party with family and friends but these types of get-togethers work equally well in the late spring and early fall. These types of showers are both affordable and fun because you can keep the menu simple and the decorations light. I found this board at Pinterest with some great ideas. Take a look HERE. Mini foods are fun and fit the theme perfectly. Try serving burger sliders and little hot dogs instead of their larger counterparts. I also found this great article from the Seattle Times Living section that contains some do's and don'ts for you co-ed BBQ shower which in their opinion shouldn't be called a shower at all. Instead, they say it should be considered a celebration. 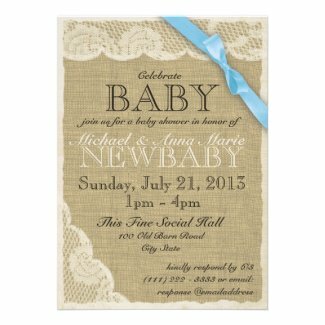 Visit Coed baby showers: bring on the barbecue and ditch the cutesy games to read the entire post. Click on your favorite designs to learn more or to order yours today! There are literally dozens more to see and choose from. 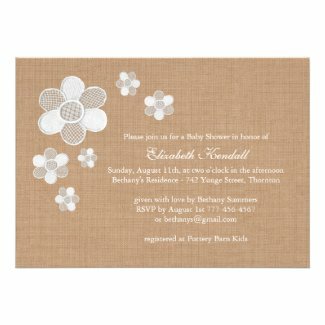 Custom and Personalized Disney Princess Baby Shower Invitations - Choose from two different group shots or individual favorites. If the new mommy is a fan of Disney and is getting ready to delivery her newest princess, have I got a treat for you today. 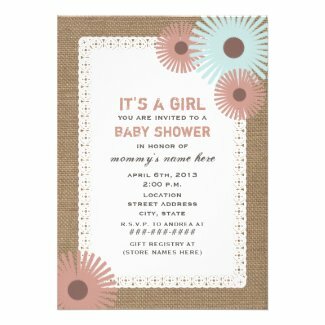 Brought to you from Zazzle's official Disney shop, find all of your favorite Disney Princesses featured on some of the very cutest baby shower invitations for a little girl. I can't think of a better way to welcome the newborn princess and can you imagine the fun you'll have planning this party? 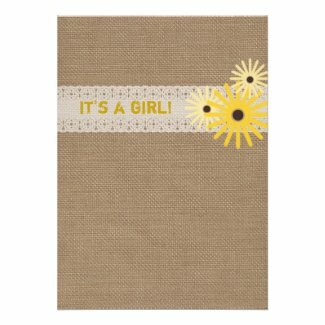 Perfect for anytime of year, all of these high quality, full color personalized "It's a Girl!" 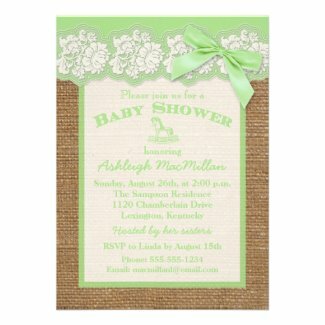 invitations measure a big 5" x 7". They come with a white envelope and a 100% satisfaction guarantee. 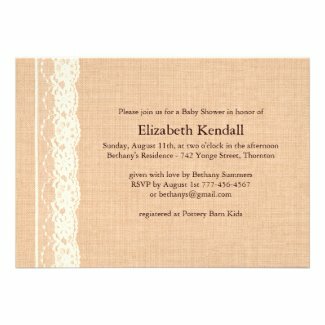 Click on your favorite design to learn more or to order your invites now. Princess parties are always so much fun. Sweet desserts can include anything from an elaborate castle-style cake to a simple crowned cupcake made using printables as toppers. For the more daring, I really love the idea of using an undressed Disney princess doll inserted into a cake as shown below. The cake and frosting become the gown and the doll can be easily cleaned up afterward to be presented as a keepsake to the mommy-to-be. Before you run off to check out all of the cute Disney baby shower invites, tell us. Which one is your favorite? Share in the comments. And do include any unique shower ideas you have too. Today we're featuring 10 super cute baby shower invitations that are perfect for a baby shower that's scheduled near Easter. 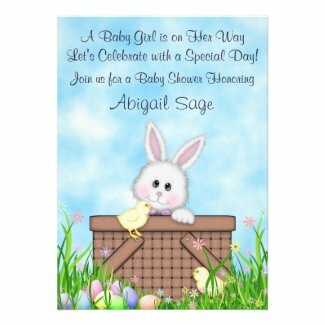 It's a fun collection of bunnies and chicks with invites for both boys and girls. 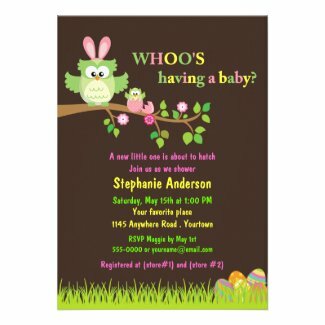 All of the featured baby shower invitations are brought to you by the talented card designers who keep shop at Zazzle.com. Take a look. 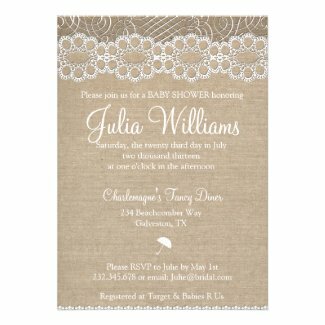 I think you'll be delighted with the artwork and high quality of these cute custom personalized invites. 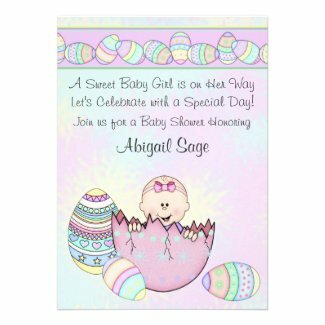 There's plenty more cute Easter baby shower invitations to see. Before you go, share with us! 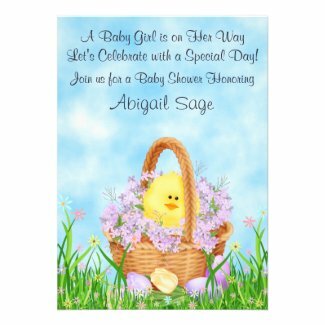 What are you planning to do to make your Easter baby shower special? Egg dyeing photo made available through a creativecommons.org search. Thank you to the photographer for making their work available. Click on he photo to see it at it's original source.